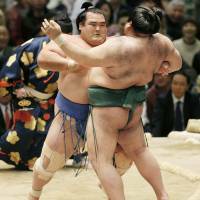 OSAKA - Kotoshogiku made the perfect start in his bid for back-to-back championships and a promotion to yokozuna on Sunday with a comfortable opening-day win over Takayasu at the Spring Grand Sumo Tournament. Kakuryu was sent out by sekiwake Toyonoshima, while Hakuho looked a pale shadow of his normally dominant self, getting easily shoved out by komusubi Takarafuji. 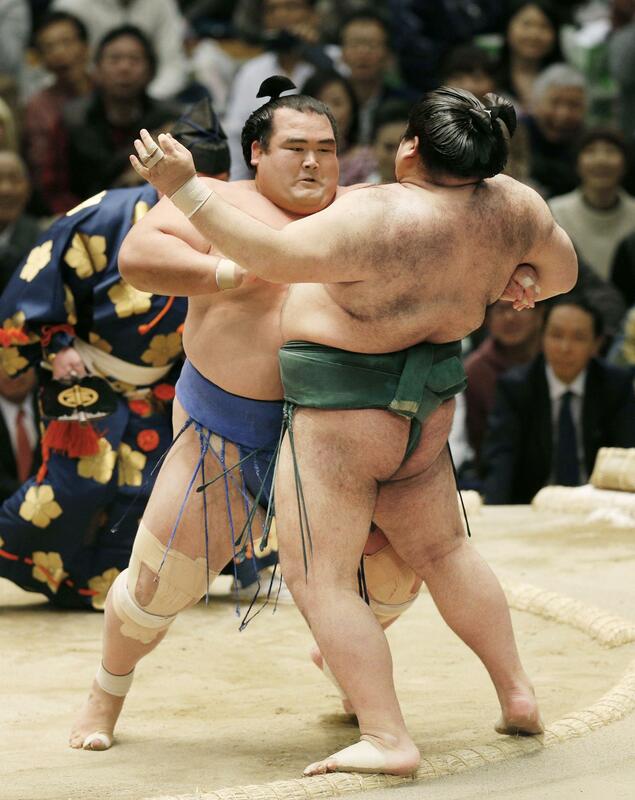 Yokozuna Harumafuji came through in the day’s final bout with little trouble though, quickly dispatching komusubi Tochiozan over the straw bales.